Zea Mays Printmaking is a studio, workshop, gallery, educational facility and research center dedicated to the safest and most sustainable printmaking practices available. We are continually researching exciting new techniques and products. We share this information through our workshops, consultations and private tutorials. We offer workshops in safer printmaking processes; access to our state-of-the-art studio; exhibitions; residencies; prints for sale and more. 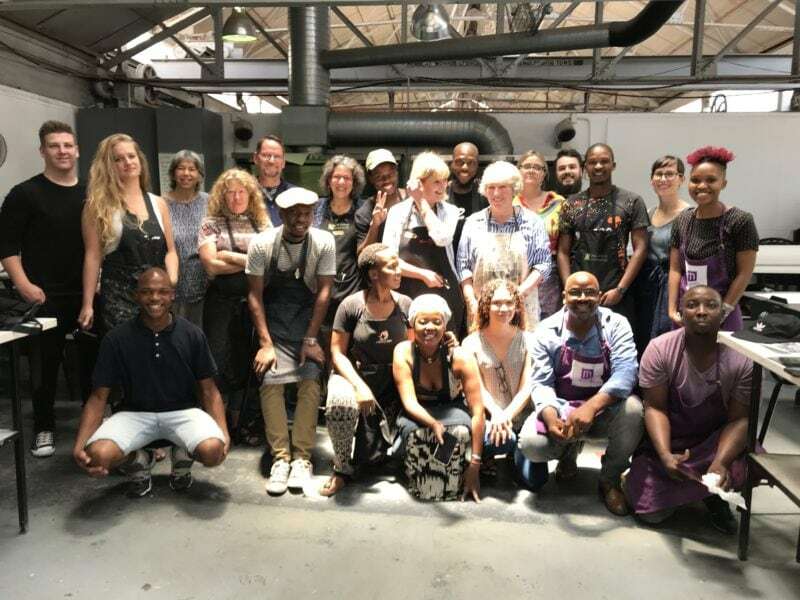 Liz Chalfin's blog about teaching at Artist Proof Studio in Johannesburg and working with William Kentridge, plus more adventures! "Blue Wave" curated by Lynn Peterfreund and Sam Xenos from the Flat Files. Detailed research conducted by our interns into a variety of new printmaking products and methods. 1-12 week residencies with on-site accommodations. Access to all of our state-of-the-art "green" printmaking facilities. Private or community studio. Applications reviewed on a rolling basis. 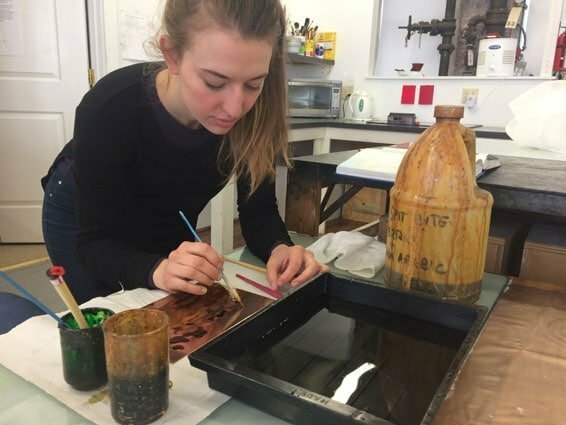 We offer unpaid internships to college students pursuing a degree in printmaking, recent college graduates or to those who have completed a non-academic course of study in printmaking. See the prints and artist's books we brought to the E/AB Fair this year. 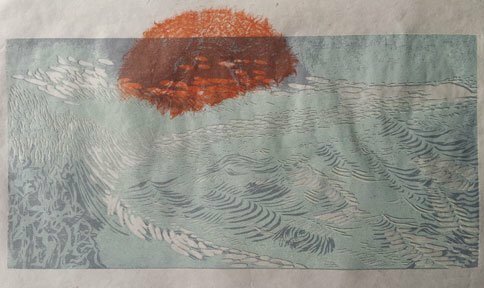 A group of artist members from Zea Mays Printmaking began an investigation into the health impacts of the printing plates we use. 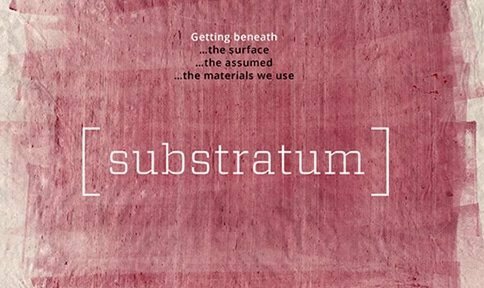 Substratum is a documentation of our investigation and hopefully a useful resource for other artist/printmakers and DIY practitioners. Here's the story of our incredible trip to Havana to teach polyester plate lithography at San Alejandro Academy of Fine Arts. 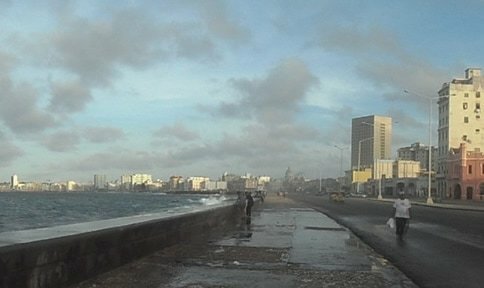 Visit our Cuba blog and read our story and see slideshows from this wonderful experience. 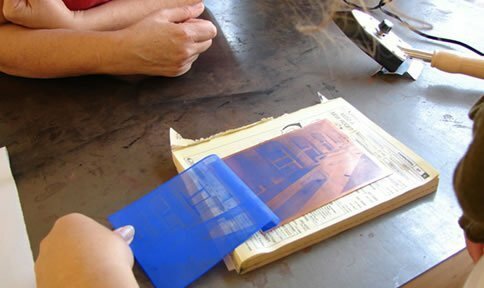 This workshop presents myriad methods for working in the mezzotint manner that don’t entail use of acids, solvents, or rocking plates. Over 500 prints for sale by member artists in our Flat File Project. 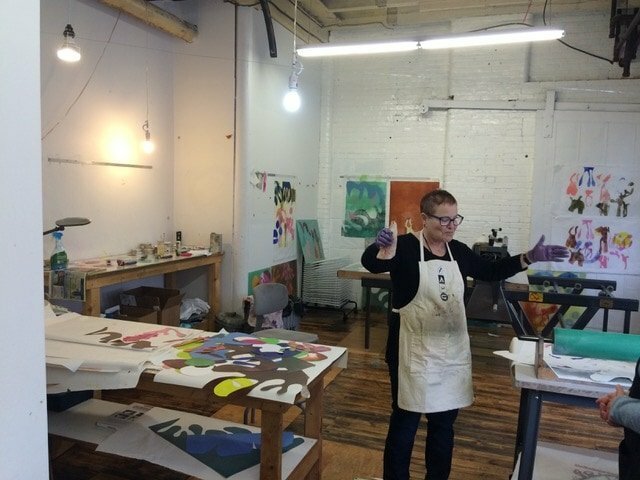 Summer Intensive - everything you need to set up your own safer intaglio studio! Recent Prints by Helen Schmidt and Joan Dix Blair will be on exhibit in the Sanford Gallery at Zea Mays April 3-28th. Meet the artists Sunday, April 14th at 1pm to discuss the work and enjoy light refreshments. In this season of the blue wave, we looked for the blues that move in the prints in the flat file collection. Part of the mission of Zea Mays Printmaking is to research new developments in safer, less-toxic and non-toxic printmaking. Our research is all on-line and available to the printmaking community. Our Residency Program provides an opportunity for artists to work in a cutting-edge studio, research center, workshop and artist community. We are currently scheduling residencies for 2019 and beyond.